STRATTEC 608703 Coded. Made By STRATTEC - Top Quality After Market and OEM Parts! GM / Keys & Ignition. Coded - Include Two keys With GM Logo. Transponder Keys. 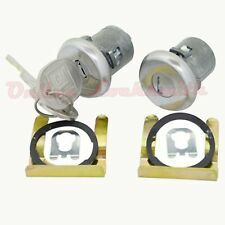 These door locks will replace your existing ones, and the keys will replace your existing keys, after all installed you will have new and different keys to your ignition then the one work on your doors. Trending at $20.90eBay determines this price through a machine learned model of the product's sale prices within the last 90 days. Established in 1959! Part Number: DL-7B. Chevrolet Caprice. Chevrolet Impala SS. Primary Hood Latch Release Cable. Primary Hood Latch Cable. Buick Estate Wagon. Buick Hearse / Limousine. Buick Fleetwood Brougham. Chevrolet Hearse / Limousine. "Standard Door Lock -- - -". Condition : New. Therefore all implied warranties that may apply to your part are limited to the duration of this written warranty. Each warranty gives you specific rights, and you may have other rights which vary from state to state. 77-86 Chevy K10 Suburban Front (Rear) Driver or Front (Rear) Passenger Side. 77-86 Chevy K20 Front (Rear) Driver or Front (Rear) Passenger Side. 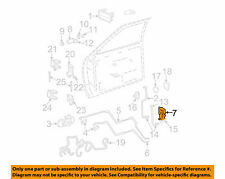 77-86 Chevy K20 Suburban Front (Rear) Driver or Front (Rear) Passenger Side. 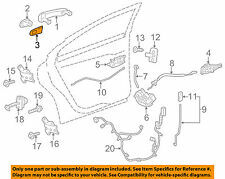 Chevrolet Caprice 2012 PPV 3.6L V6 - Flex, 6.0L V8 - Flex Includes Door Lock. Caprice PPV. Chevrolet Caprice 2013 PPV 3.6L V6 - Flex, 6.0L V8 - Flex. new genuine gm original. Body & Trim. Interchange Numbers &nbspGeneral MotorsPart Number: 15686142. Push Nut Fits Buick Century 42136 Dorman - HELP. Manufacturer Number: 42136. Country of Origin China. UPC 037495421362. Weight: 1 Lbs. Established in 1959! 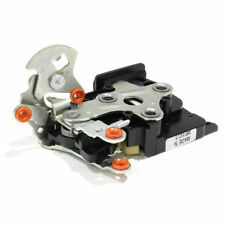 Part Number: TL-106B. 78-88 GM FACTORY TRUCK RELEASE SOLENOID. ACTUAL SOLENOID YOU WILL RECEIVE. FACTORY ORIGINAL USED OEM. "Standard Door Lock Relay --. Condition : New. Therefore all implied warranties that may apply to your part are limited to the duration of this written warranty. Each warranty gives you specific rights, and you may have other rights which vary from state to state. Part Number: 38428. Established in 1959! 81-85 CAPRICE CLASSIC PASSENGERS SIDE RIGHT HEADLIGHT BEZEL TRIM. ACTUAL PART YOU WILL RECEIVE HERE IN THE PICS. 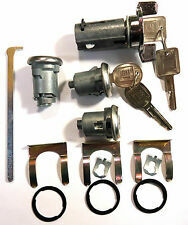 Notes : Kit components - 2 Door Hinge Bushing Kits; Includes (1) 0.34 x 2.83 in. 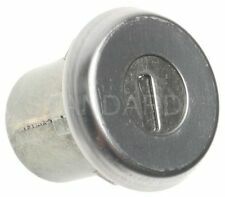 Pin, (2) 0.35 in. ID x 0.42 in. OD x 0.31 in. H Bushings, and (1) 0.38 in. "Dorman Door Hinge Bushing --. 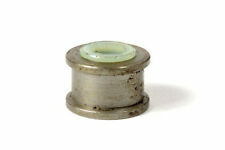 2 Door Hinge Bushing Kits. Established in 1959! Part Number: DLA-1. Part Number: 75452. Established in 1959! Part Number: 38420. Established in 1959! For multiple GM and Chevrolet cars and trucks. Part number 21090040. Plum Haze Decals. Linwood Trading Depot, LLC. Plum Haze Decals is the place to go for all your sticker, decal or vinyl needs. Our primary account linwoodtradingdepot has over. SET OF 2 STRIKERS AND PLASTIC SHIMS. STRIKERS HAVE TORX HEAD AND NO ROLLER. LOCAL PICKUP. IN BOWDON, GA. 10 MILES OFF I 20 WEST LAST EXIT IN GA. LH= DRIVER SIDE RH= PASSENGER SIDE. USED PARTS ARE AS PULLED. Product Description 100% Brand New Items, Never Used Or Installed​​ This is a power door lock actuator that mounts inside the door Electrically operated, not vacuum Correct electrical connection Anodized steel housing resists corrosion Professional Installation is Highly Recommended No Instruction Included ​ Package includes 1x Door Lock Actuator As the picture shown Fitment. GM CHEVY CAPRICE 1987-1990 CAPRICE REAR LEFT DOOR PANEL ARMREST AND DOOR HANDLE TRIM. LIGHT BLUE INTERIOR COLOR. ACTUAL ITEM YOU WILL RECEIVE.